Two acts. One hour and forty-five minutes. Act 1: one hour. Act 2: 45 minutes. Original production audio/visual link available. 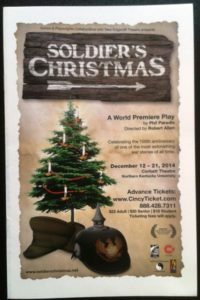 SOLDIER’S CHRISTMAS is an epic tale of war and peace set in No-man’s-land in late December of 1914, dramatizing the Great War’s effects on front-line soldiers as well as on their families at home. This original play with song presents the personal stories of disenchanted, battle-weary British and German soldiers who throw down their rifles, leave the mud of the trenches, and join hands in one of history’s most astonishing Christmas celebrations. 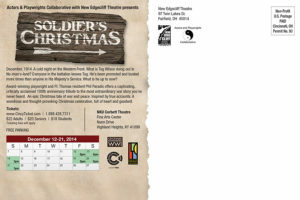 SOLDIER’S CHRISTMAS was presented in eight performances December 12 – 21, 2014 at Northern Kentucky University’s Corbett Theatre, on the 100th Anniversary of The Christmas Truce. Written by award-winning playwright Philip Paradis, directed by Robert Allen, featuring an all star cast of the tristate’s top theatrical talent. 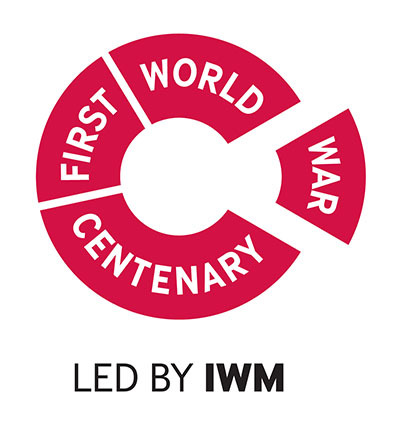 Produced by Jim Stump and Actors & Playwrights Collaborative with New Edgecliff Theatre, SOLDIER’S CHRISTMAS is part of Cincinnati Remembers World War I, a year-long community arts celebration of the Great War’s centenary sponsored by Cincinnati Opera, and part of the Imperial War Museum’s (U.K.) global series of events honoring the centenary of the First World War.